In this week’s show, we talk about motorbikes, solar panels and power usage behaviours. On the plus side, we do play 8 rather spiffing tracks! Sorry for the posting delay, archive.org was being a pain again. 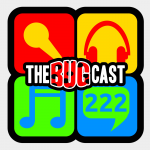 The next show will be episode 223 – broadcast live in the chatroom on Friday 10 August from 21:30 UK time.